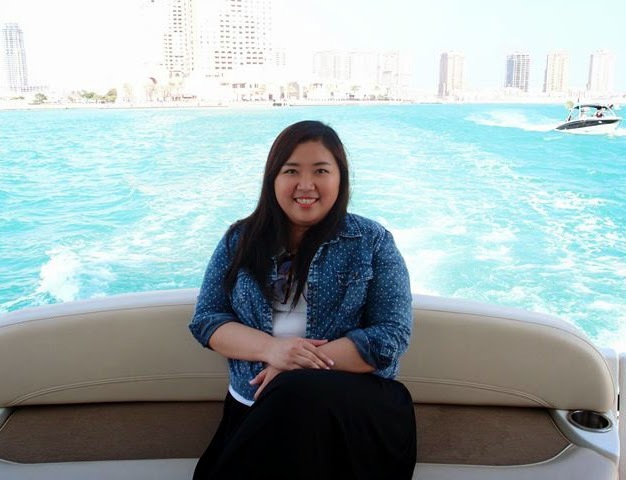 There are about a handful of Japanese restaurants here in Doha, and some of them are even a fusion of East Asian cuisines (Korean, Chinese, etc.). 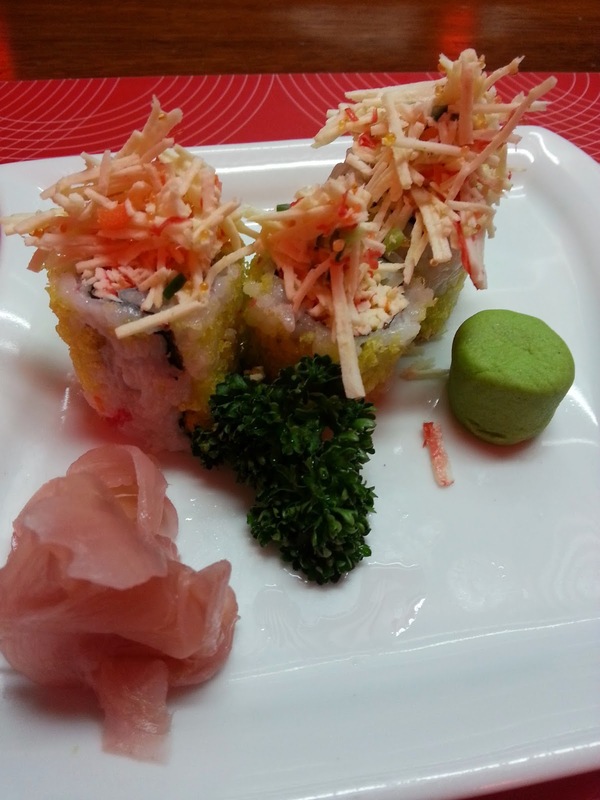 Sushi Minto. 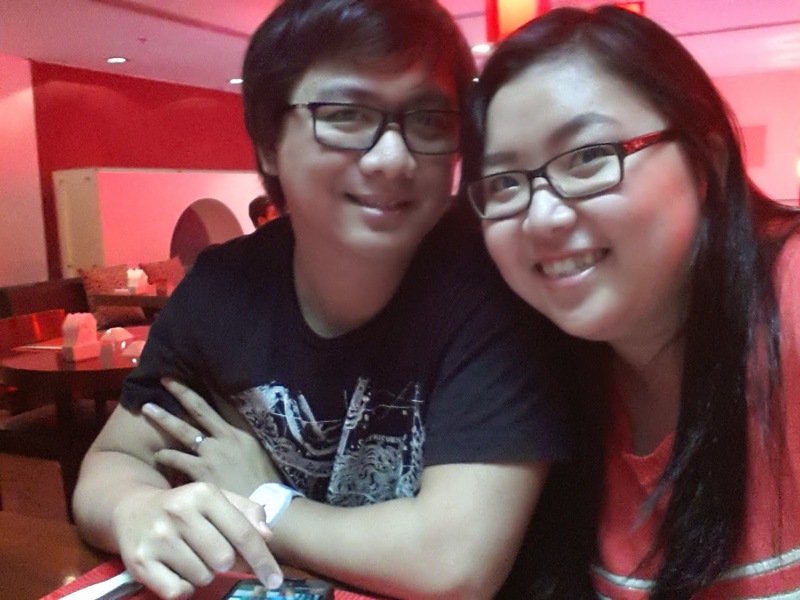 It has always been an option for date night because of its proximity to our office. The interior is more Neo-modern than Zen. 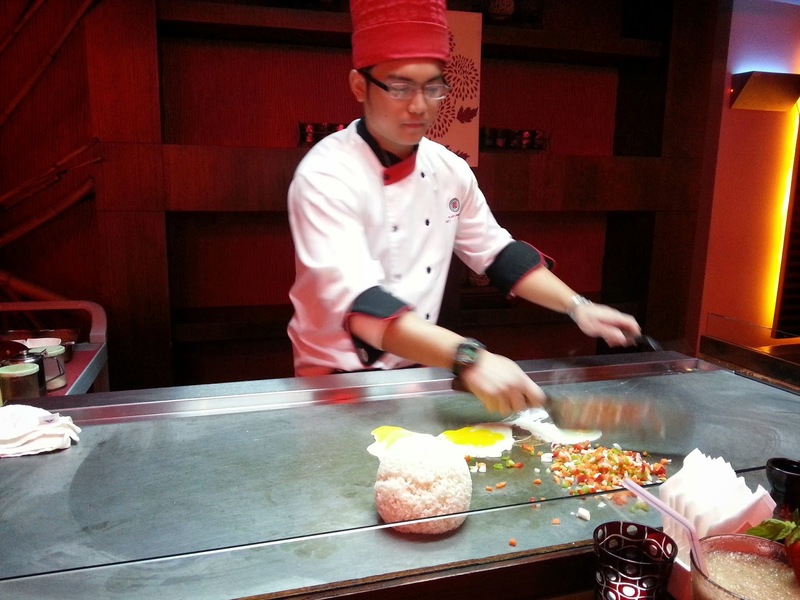 The teppanyaki tables are at the upper floor, so they will ask you if you want to watch live cooking once you enter. The chef was Filipino, which was perfect and he was very chatty, made the waiting less frustrating. He had some tricks up his sleeve and made juggling maneuvers with the raw eggs (I wish I could have taken some video of that). 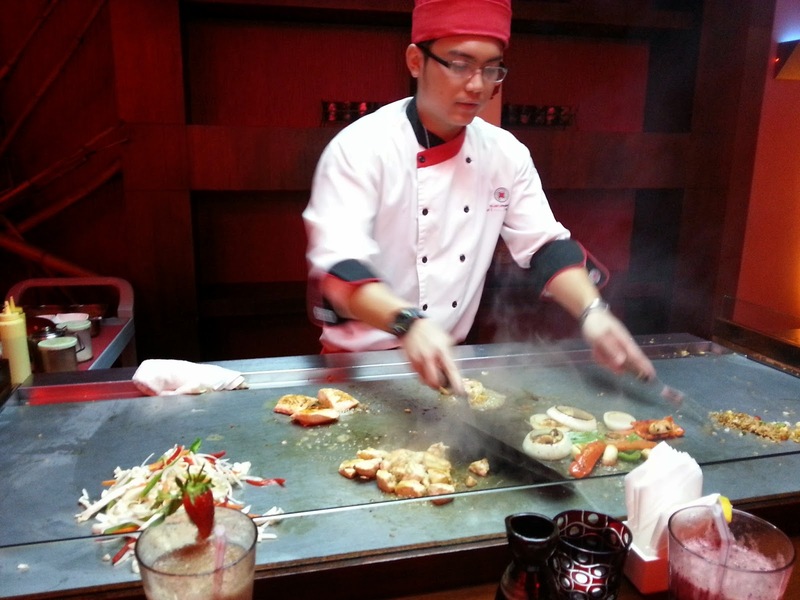 There are several options for Teppanyaki from the menu; all are good for sharing between two people. Price ranges from Qr170 to Qr280 (depending, of course, on your choice of meat). 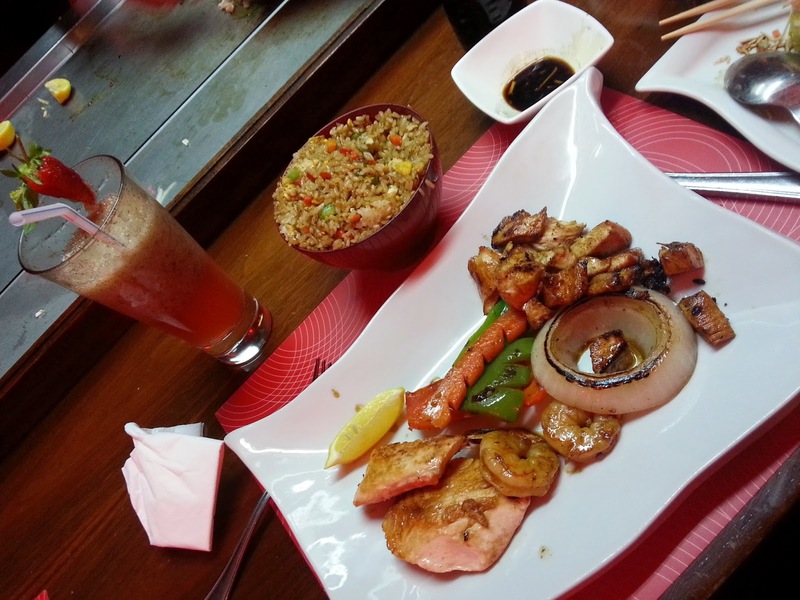 We chose the Osaka, which consists of Salmon, Chicken and Shrimp. But first let me show you how they did the actual cooking. Total bill was around Qr250. And yes, they do have a Sushi buffet on Fridays at lunch time. 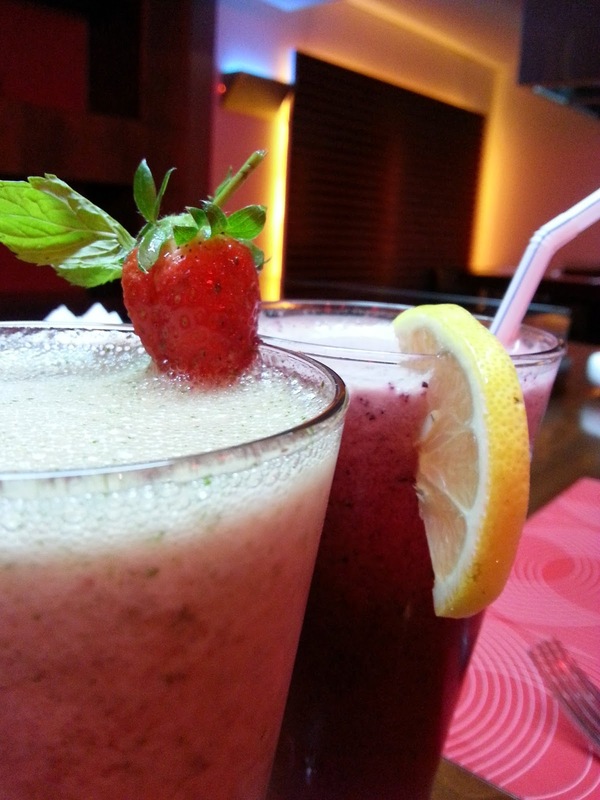 If I’m not mistaken, around 12:00nn up to 4:00pm and costs around Qr119 per person. We will try that soon. This looks great. 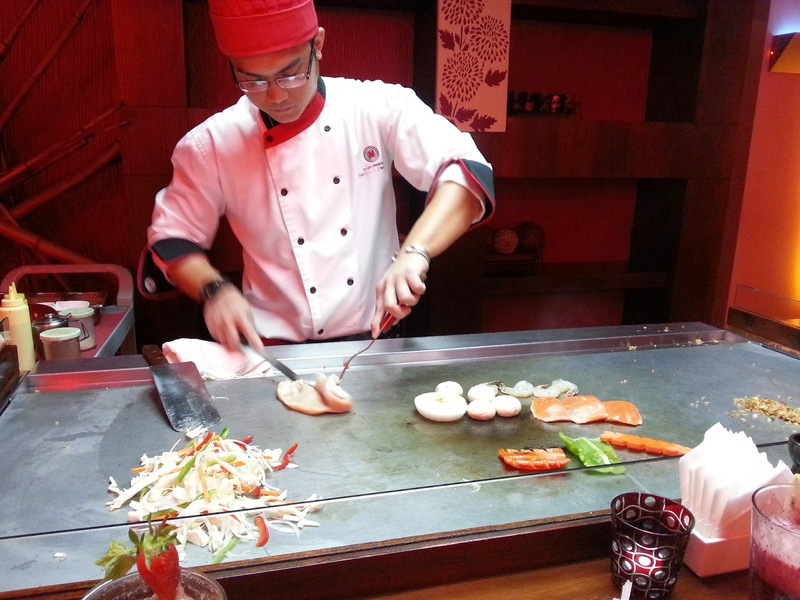 I've never tried teppanyaki but I'm certainly tempted now. You should definitely try it. It's for sharing so it's really worth it.